The absence of Melania Trump has had the Drive-By Media occupied here, in an unhealthy way. 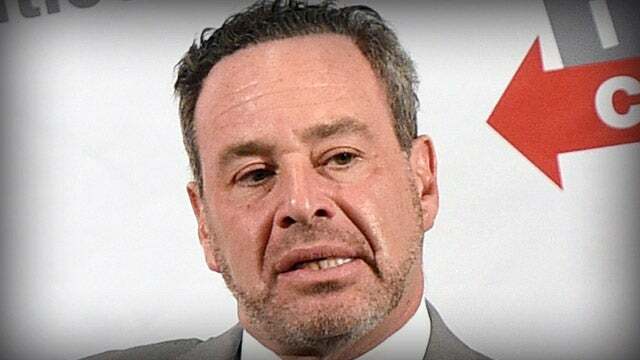 David Frum — who used to be a ranking member of the conservative faux intelligentsia — has actually speculated that one of the reasons she hasn’t been seen is that Trump must have hit her! Trump must have punched her, and it’s taken this long to recover. From The Daily Caller: “Atlantic Senior Editor David Frum openly theorized last weekend about President Trump punching his wife and covering it up. “Frum sent a tweet, wondering the legal ramifications of President Trump hypothetically hitting his wife. Frum said, ‘Suppose President Trump punched the First Lady in the White House (federal property = federal jurisdiction), then ordered the Secret Service to conceal the assault. POTUS has Article II authority over Secret Service. Is that obstruction? Under Sekulow/Dowd, apparently NO. '” So they’re coming up with all of these outrageous hypotheticals that — don’t doubt me — they would love for to be true. I mean, of all the things that you could conjure to explain why nobody’s seen Melania Trump — after kidney surgery — it’s that Trump beat her up and has the authority to order the Secret Service not to tell anybody about it? That’s just like Stephanopoulos’ question to Rudy on Sunday. “Can the president pardon himself?” That’s not the question. The question is intended to cause people hearing it to think that Trump must have done something that’s really bad, ’cause he’s thinking about pardoning himself. It’s the same thing here. “Wow. Never thought of that! Yeah, that could explain it. Trump beat Melania up, got mad at her one night.” This stuff is so beyond the pale — and these are the people telling us that what’s wrong with Trump is bad manners. These are the people telling us what’s wrong with Trump is just uncivil discourse. “He’s just embarrassing everybody.” And yet look at what they come up with, promulgate, and put out in the public domain. RUSH: You know, speculating on the health of Melania Trump, CNN is doing this and a lot of the Drive-Bys are. You know what’s amazing about it/ They’ve announced that she had kidney surgery, a benign mass was removed, and they’ve said all is well. Melania Trump was spotted in the White House yesterday at a Gold Star families event, and she looked perfectly fine walking in, looked perfectly normal. The Drive-Bys are running around speculating, David Frum hypothetically theorizing, “Wait a minute, guys. What if Trump beat her up? That’s on federal property! Does he have the right? Can he get away with beating up his own wife simply ’cause he runs the executive branch?” These guys are trying to have this intellectual argument over whether Trump can be subpoenaed, whether he can be pardoned, pardon himself or what have you. But at the same time, look at somebody who is really sick and has been really sick for a long time and may be — I don’t think there’s any doubt — so sick she had no business being president of the United States. The woman who couldn’t even stand up going down steps, the woman who was collapsing at random moments with no notice — a woman who could not get herself into one of those high-top vans without three people behind her pushing on her rear end to get her up there — and not one, not one serious story on the health of Hillary Clinton when it was plain as day to anybody that whatever she has going on… And there are all kinds of, you know, discussions about her love of adult beverage. Not one discussion whatsoever. It’s all about getting to Donald Trump.